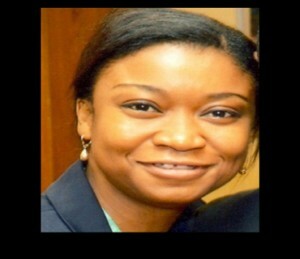 IIfy Malo is the Technical adviser on Policy and Regulatory Affairs to the Nigerian Minister of Power. Prior to this she was the Senior Technical Adviser to the CEO of the National Electricity Regulatory Commission (NERC); and as the Special Assistant on Legal and Policy Issues to the Nigerian Coordinating Minister for the Economy and Minister of Finance. Her work experience has been varied and includes working as a Counsel at an International Donor Organization in Lagos (Ashoka, Office of West Africa): A top 10 Nigerian Law firm (George Ikoli & Okagbue); an International Conflict Resolution Organization (Negotiation and Conflict Management Group), a City of Boston Health Agency (Boston Public Health Commission) and a Boston based Global Biotechnology firm (Genzyme Corporation). She also taught business and corporate communication at the College of Management at University of Massachusetts Boston for 6yrs. At Genzyme Corporation she successfully developed a Policy Fact Center and a Global Intellectual Property Status document deployed by Genzyme International for its Global Market Access in Latin America; Asia, and Europe. In her government roles, she has coordinated the several presidential retreats on infrastructure and social development and tracked outcomes and performance management on those outcomes for the Minister’s office. She also coordinated the interaction between government and civil society. Ify’s focus area lies with Global Policy and Regulatory Affairs; Legal and Corporate Services; Global Communication and Global Strategy and Advocacy.